If you suffer from depression, you may have been put on different medications to handle the symptoms. However, studies reveal that certain natural remedies for depression help boost these medications and can even succeed on their own. Depression is a delicate and intricate illness, and many are the unanswered questions towards its origins. In America alone, approximately 11% of the entire population takes one or more forms of antidepressants (1). This happens sometimes even without the direct supervision of a mental health practitioner. The effectiveness of antidepressants, however, has not seen results better than any placebo test. For those interested in feeling better and fighting the bad patches, natural remedies for depression are the way to go. Initially, the main three natural remedies for depression that have the most researched results are Vitamin D, Folic Acid, and Fish oil. However, there is a way bigger list of natural remedies for depression. Not only supplements but actions that can be followed to eradicate this illness once and for all. 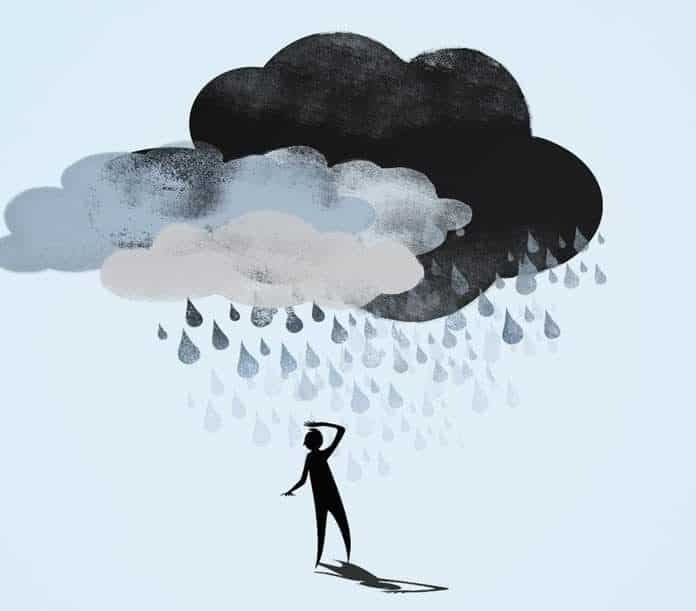 Like most mental health related illnesses, depression is generally considered to be provoked by a chemical imbalance in the brain. This couldn’t be further from the truth in certain cases. The reality that many patients face every day is not always related to this statement. Depression’s origins have yet to be fully explained. A research from 2009 (2) breaks down all previous studies about depression being directly related to low serotonin. The problem is that most antidepressants are only designed to fight off this specific reason. Other studies indicate that certain mental health illnesses can be fully explained by inflammations throughout the body, thus cured by healing the inflammations. Some natural remedies for depression can, not only help you boost the effectiveness of certain antidepressants, but even be good on their own to fight the illness. Specifically, there are two types of vitamins that are good natural remedies for depression. A number of studies (3,4,5) have linked a low level of Vitamin D to depression. Either because of a direct lack of sun in northern countries or due to issues with the brain receptors. Absorbing fewer amounts of Vitamin D results in higher chances of depression. There are a very good number of inexpensive Vitamin D supplement brands all around the world. It is to be taken once daily if you reside in a country with little to no sun. Also, it is good to be taken during dark seasons such as winter. Vitamin D is one of the main natural remedies for depression. This can also be found in certain food such as fatty fish (tuna, mackerel, salmon), cheese, and egg yolks. Another of the 10 natural remedies for depression is Methylfolate. It’s a form of Folic Acid (Vitamin B9) and a lack of it can cause not only depression but also anemia and fetal defects during pregnancy. When purchasing your L-Methylfolate supplement in the pharmacy, make sure to check its quality. Do not purchase any supplements called simply Folic Acid as most of them do not contain the proper ingredients to be properly absorbed by the body. However, also be aware of its possible side effects when taking it, these can be found here. Malabsorption of Vitamin B12 affects 25% of the U.S. Population and it is directly linked to depression. Vitamin B12 can be found in a balanced diet that includes meat and fish. However, many people simply do not absorb it even if they eat these foods. A lack of Vitamin B12 in the body can lead to sleep problems, anemia, dementia, depression, and many other illnesses. In order to absorb the correct amount of B12, make sure to take a pharmacy grade supplement and have a balanced diet together with probiotics. Vitamin B12 is one of the most unknown natural remedies for depression. We’ve all heard of Omega 3 as one of the natural remedies for depression. It can be taken either by eating fatty fish (mostly salmon) or by ingesting a supplement. However, not all supplements are good for the job. In order for the supplement to work correctly, it needs to be high in EPA. When purchasing your Omega 3, make sure that the EPA levels are at least 200mg up until a maximum of 2,200mg (6). Omega 3 is not only considered to help fighting depression but also schizophrenia and bipolar disease. In today’s diet, the intake of other types of Omegas (Omega 6) shadow the functions of Omega 3. Unfortunately, Omega 6 fatty acids are not healthy in large quantities, but are found in most processed foods. This is the reason why a controlled balanced diet together with the intake of Omega 3 is what can reverse the effects of so many mental health related illnesses. SAMe is an amino acid that helps to process functions in our bodies, including a better absorption of B vitamins (such as B12, B9, and B6). Even though there are still not many studies about SAMe, those that exist look very positive in this regard. SAMe is available over the counter in the States, and prescription-based in European countries. It effectively deals with inflammations and pain related issues. And it is now linked to help treating depression. SAMe is one of the latest discoveries in natural remedies for depression. Like any other supplement or medication, SAMe cannot be used by all individuals. If you are currently taking monoamine oxidase inhibitors or suffer from bipolar disorder, you should not be taking SAMe (7). As mentioned above, inflammation is believed to cause several mental health related illnesses. This is because certain inflammations do not only prevent the absorption of certain nutrients and the derangement of neurotransmitters. But they also affect the capacity of white cells to fight properly. Knowing this, it is easier to understand why being inflammation-free is important for your mind and body. The problem is that, most people in pain caused by an inflammation will take ibuprofen or paracetamol to fight off the symptoms. This can lead to even bigger problems. There are natural remedies for depression and inflammation that work together to prevent and heal both. Four of the main ones are turmeric, ginger, garlic, and probiotics. Let us explain these three in details. Turmeric is one of the main spices used for curry. It is yellow and can be used to stain clothes or skin with this color. However, its properties are not only related to its color and taste. Turmeric is one of the best natural remedies for depression and inflammation (8). Taken regularly as a spice or as a supplement, Turmeric will help you decrease inflammation and pain. It has been proven useful even for arthritis. Ginger has been proven to reduce pain and stiffness in patients with osteoarthritis, thus healing the inflammation (9). This root has been in the cabinets of Asian families for hundreds of years, and thanks to today’s markets, we can also have it in our homes. Either freshly cut or grated, or as an extract or tea, ginger needs to be implemented in your daily diet. Garlic may not be the best idea if you’re on a date, but jokes aside, it’s one of the greatest and most underrated natural remedies for depression and inflammation. The reason behind its anti-inflammatory powers is it sulfur compounds. Which can stimulate your white cells (immune system) whenever it’s needed. Probiotics can be taken either as a supplement or through foods such as yogurt. Our guts are filled with bacteria. When healthy, most of these bacteria are good (probiotics) and help your body absorb the nutrients it needs from the food and boost the immune system. However, when we take antibiotics our probiotics are killed and we need to repopulate this by taking supplements. A proper bacterial flora will keep us healthy and will help prevent and fight inflammation. Contrary to what many believe, salt is not always bad! Actually, our body needs sodium to function properly. Proper sodium levels can prevent depression and migraines among other illnesses. However, table salt is not the proper one to be taken. If you need to add a little taste to your meals, choose pure Himalayan salt. Even though it is more expensive than regular table salt, you will need less to flavour your dishes and its properties are worth the cost. Nowadays diet is a health risk factor in itself. We have surrounded ourselves and filled our cabinets with processed fast food. The problem with it is that it contains unhealthy levels of sugars and chemicals that have negative effects on our bodies. This diet style can also lead to depression and inflammation. By taking a set of steps to change our diet to a more natural and less processed one will reduce depression. As a first step, take away sugars from your diet. This means not only not using sugar or honey in your morning coffee or desserts. But also checking the ingredients of any prepared food bought in store. Most of them contain high levels of sugar. Additionally, those processed meals branded as 0% fat usually include more sugar than normal meals. Soda drinks are basically liquid sugar, so substitute them for water. To follow a balanced diet, make sure to eat plenty of vegetables in every meal. 4-5 pieces of fruits daily, and proteins such as poultry, beef, and fish. As well as healthy vegetable fats like avocado, olive oil, etc. and nuts. One food that not many talk about but is extremely healthy is fermented vegetables. Any sort of fermented drink made of fruits and vegetables, or just fermented meals is a great way to get probiotics naturally. For example, kimchi is one of the key dishes of the Korean gastronomy, and it is full of health benefits. Lack of sleep and stress directly affect depression. This is because our body needs a balanced and proper sleep to remove toxins from our body that otherwise would impact negatively on our health. Not only does lack of sleep affect us at a health level, but it also affects our mood. After a certain period of time of poor sleep, we start feeling more aggressive, anxious, and stressed. This is directly linked to depression and anxiety and can turn into clinical insomnia. Avoid heavy dinners. Keep your dinners light and have them at least 2-3 hours before bedtime. Turn off any electronics such as TV or mobile phone screens at least 30 minutes before sleep as they work against melatonin. Instead, read a book or practice some meditation to help your body and mind relax. Drink warm goat’s milk with a teaspoon of Manuka honey 30 minutes before sleeping. Apply 2-3 drops of Lavender essential oil to the back of your neck or your pillow. Listen to relaxing music or white noise. One of the most used natural remedies for depression is exercise. By producing serotonin, norepinephrine, and dopamine, exercise reduces stress and depression. It also helps your body get fitter and increase your stamina. This doesn’t mean that you need to turn your life upside down and become a professional athlete. Instead, it means that you need to add small changes to your routine to move your body. For example, walk to work instead of taking the bus. Use the stairs instead of the elevator. Go to the gym once or twice a week. Join a yoga class or go swimming every now and then. Activities, fresh air, and sun will help you increase your mood and balance your general health. Apart from the natural remedies for depression listed above, there are also some therapies that can complement your healing process. Two of the most important ones are CBT (Cognitive behavioural therapy) and EFT (emotional freedom techniques). CBT is used not only for depression but also for many other mental health related illnesses, including phobias or anxiety. It’s a talk based therapy that handles the emotional part of the illness by tackling the problems from its origin. Whilst EFT is a newer therapy base on acupressure to produce positive emotional responses in your body and improve your overall mood. If you suffer from depression, make sure to seek medical help and take the necessary steps above to improve your general health. These natural remedies for depression will help you get back to your happy self and enjoy life the way you deserve!